Sure, Spain has everything you need for a dream holiday – hello sun, sea and sangria – but what’s it really like to pack up and move there in search of la vida loca? With a recovering economy, a famously laid-back lifestyle and a real zest for life, Spain is appealing to a growing number of American expats – especially as many will have learned Spanish in school. 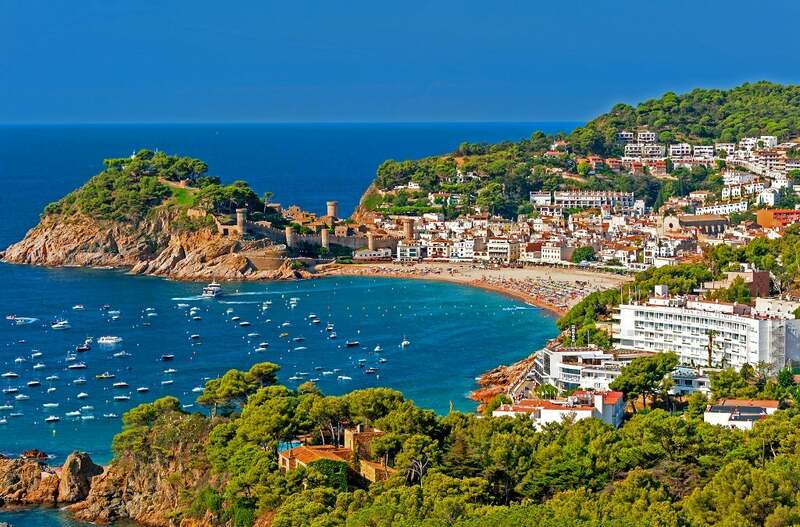 It’s a country with a long history and stunning natural beauty, from the long golden beaches of the Costa Brava to the mountains of Andalucía. Spain also home to some of Europe’s most vibrant cities, including Madrid, Barcelona and Bilbao. Children are welcome everywhere, making it a popular destination for American families. And with excellent colleges and that beautiful sunshine climate, it’s also a winner with students and senior citizens. Whether you want to leave the big smoke behind and embrace rural Spanish living or dive into the culture of Spain’s historic cities, you’ll find there’s so much more to life in Spain than sunshine and siestas. San Diego vs. Bilbao – No surprises here with San Diego’s strong Spanish heritage, but the Spanish architecture, the relaxed cafes and the seafront location backed by beautiful mountains make these two cities brothers from another mother. San Francisco vs. Barcelona – If you’re looking for a Spanish city with the alternative culture, arty vibe, and vibrant food scene of San Francisco then it has to be edgy Barcelona. And the similarities don’t end there, you’ve also got a diverse population, great public transport and breath-taking hilltop viewpoints. Americans can visit Spain for up to 3 months without needing a visa. If you plan to live, study or work in Spain however, you will need to apply for a visa from the Spanish Embassy in your home state before arrival in Spain. Once in Spain, you have three months to apply for your corresponding permit from the Spanish Ministry of Interior. After you have lived in Spain for five years, you can apply for the right to permanent EC residence. This will allow you to live and work in Spain, and the rest of the EU, for as long as you like. If, after ten years of living in Spain, you officially want to call it home, you can apply for Spanish citizenship. You will then have all of the same rights as Spanish citizens, including the right to vote. In some cases, this can happen within a shorter timeframe – for example, if you marry a Spanish citizen. Applications cost $65-110 and will usually mean you must renounce your American citizenship (at an extra cost of $2,350). Spain was hit hard by the global economic crisis but is now on the road to recovery. The economy is now one of the fastest growing in the EU and unemployment levels are falling. Graduate and unskilled workers have been worst affected, with skilled workers faring better in the job market. The tourist industry, teaching, industrial and renewable energy engineering, the creative sector and medicine are all industries which are thriving – and struggling to recruit. You can find out which industries are experiencing recruitment shortages in different Spanish areas with the State Public Employment Service. Spain prides itself on a fantastic work-life balance. The standard working week is 40 hours, and a working day must never exceed 9 hours. Working days are often structured differently to back home, with some companies taking a long lunch break from 2pm-5pm and then working a little later until 8pm. People work to live and you can expect at least 30 days’ paid holiday allowance, along with no less than 14 public holidays to enjoy. House prices in Spain are similar to those in the States and experience the same regional variations. The average city center apartment costs $2,760 per m2, compared with $2,211 per m2 in the US. Rent, on the other hand, is significantly cheaper in Spain. Many rental properties are around 50% cheaper than the equivalent US properties. Move to Barcelona from New York and you’ll find rents are cheaper by up to 75%! Spanish education is mostly state-funded, with primary education for grades 1 through 6, then four years of ‘Obligatory Secondary Education’ (ESO). At the age of 16, students can leave high school or choose to go on to either Bachillerato education to prepare for college, vocational training or art school. Standards have improved greatly over the last 20 years thanks to increased investment. Schools have a more casual feel than in the States, with relaxed dress codes, two-hour lunch breaks where students return home and student on first-name terms with their teachers. In regions such as Catalonia, students learn both Spanish and their regional language. There is no official league table for state schools in Spain so go by word of mouth if you can. There are also some excellent private and international schools to choose from, many holding classes in English. Some private schools are actually partially state-funded and so can offer subsidized fees for their students. Spain is home to some world-class colleges, with Barcelona offering up the best choices. The best institutions include the University of Barcelona (ranked 160th in the world), the University of Navarra, the University Complutense Madrid, the Universitat Autnoma de Barcelona, and the Universitat Pompeu Fabra in Barcelona. Spain has a colorful culture. And boy do they love a fiesta! From Easter through Fall, fiestas are big news – even the smallest villages will hold their own lively celebrations. Run with the bulls in Pamplona, get messy in Bunol with a tomato fight, or dance the night away on the beaches of Andalucía during the San Juan fiesta. Spain has some great cultural attractions, from museums and palaces to art galleries and bullfights. Visit Gaudi’s famously unfinished ‘Sagrada Familia’ in Barcelona, take in the world-class art collection at the Paseo del Prado in Madrid, and take a trip to the majestic Arabic Alhambra Palace in Grenada. Spanish cuisine is all bold flavors and colorful regional ingredients. Sample fresh seafood, spicy chorizo sausage, crispy croquettes and tortillas– all washed down with cold Spanish beer (cerveca). Tapas is a popular, and sociable, way of eating in Spain, with small dishes that make a delicious bar snack or an entire meal when you order several dishes to share. Venture out of the cities and you’ll discover some regional foodie gems. Try salted fish in the Basque region, giant dishes of paella in Valencia, and cold Gazpacho soup in Andalucía. So. Good. Arzak, San Sebastian: A three Michelin-starred gastronomic adventure, serving innovative Spanish tasting menus with stunning views. Treat yourself to a once-in-a-lifetime dining experience for $150-200. The Market, Madrid: Enjoy the authentic flavors of Spain in smart, intimate surroundings. Expect to pay around $50 per person. Lonja de Feria, Seville: Set in the heart of the Old Town, this relaxed outdoor eatery is a market by day and lively tapas venue by night. Tapas dishes cost around $3 each. Spain is a country of night owls. Dinner is rarely eaten before 9pm and bars are generally open right up until 4am. Barcelona is famous for its electronic music scene, hosting the hedonistic Sonar techno festival every year. Madrid has a cosmopolitan selection of bars and clubs, as well as a great gay scene in Chueca area. Valencia has a laid-back scene, with a young student crowd, parties on the beach and plenty of live music. And don’t forget about the Spanish island of Ibiza and its iconic sunsets-and-superclubs. Spain has an inclusive and welcoming approach to socializing, so whether you want to bring your kids along to a bar, find LGBTQ-friendly nightspots, or get to know the older residents in your town, you’ll find people of all ages and backgrounds enjoying each other’s company. There are so many benefits to making a life in Spain. The sunny climate, the relaxed way of life, the delicious cuisine and the amazing beaches – to name but a few! But while the Spanish culture is unarguably friendly, be prepared to make some adjustments and try to be aware of the country’s complicated regional politics. On the downside, that relaxed Spanish attitude can mean late paychecks, banks only opening in the morning, everything shutting down in the afternoon (not the time to be running errands) and late, late mealtimes. And don’t even think about getting anything organized in August. The whole country will be at the beach. If you want to move to a country that is relaxed and fiery in equal measures, has spectacular natural beauty (did we mention the beaches? ), great food and a genuinely family-friendly outlook then Spain could well be the country for you.